Bathroom Remodeling & Additions in the Madison, WI area. Have you been dreaming of a new bathroom? Is your current bathroom outdated or in need of an improved layout? A Better Home can help with your bathroom remodeling or addition project. We also specialize in master suite additions. A newly remodeled bathroom or new bathroom addition will improve the value of your home. We can also help determine where space can be allocated to add a new bathroom. Contact us today to get started on your bathroom remodeling or addition project. 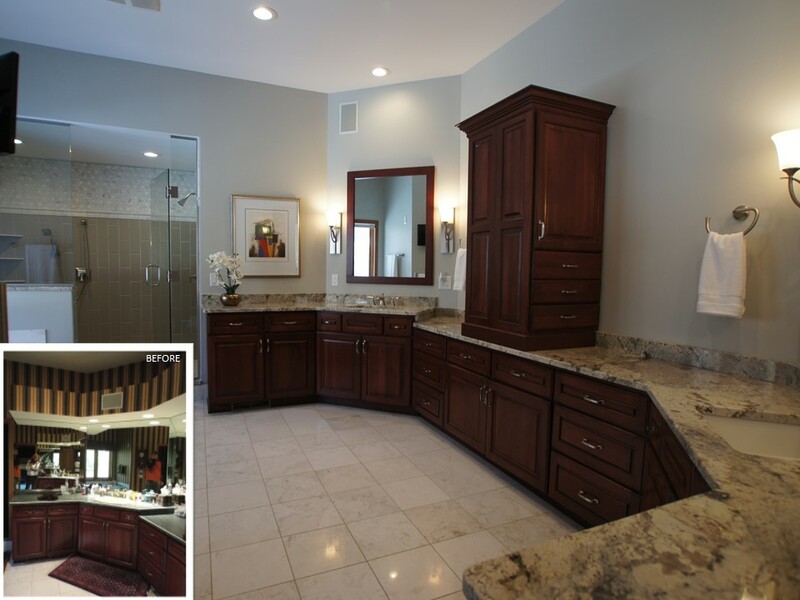 This large, traditional bathroom in Madison, WI went from 90's drab to modern fab! With a huge vanity area and luxurious walk-in shower, this master bathroom update was a huge success!